Bored? Weather outside a bit soggy? Friends coming to stay and don’t know what to play? Feeling poorly? Here’s how to cheer yourself up and have fun indoors. 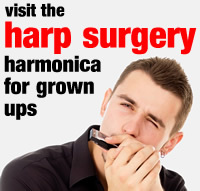 We’ve found some great creative harmonica ideas for rainy days, sick days, weekends, holidays and sleepovers! Let us know if you discover more. We’ll add your ideas to our list so that others can share them too!